With our trip to New Orleans came new vinyl! We stopped at Domino Sound Records and found some great gems, including a repress of Professor Longhair – Rock ‘n’ Roll Gumbo reissued by Dancing Cat Records of BURL’S hometown Santa Cruz, CA. 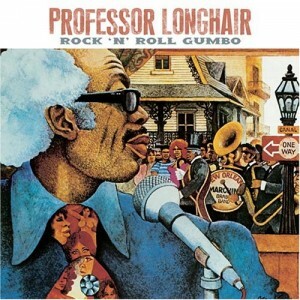 Professor Longhair (1918-1980) is a legend of New Orleans style music and R&B piano. Many other well-known New Orleans artists such as Dr. John and Alan Toussaint were greatly influenced by his complex style, rhumba-boogie, blues and straight calypso. You can’t mess with the Fess.